Six ad-hoc projects sponsored by ICAR, New Delhi were completed and findings thereof in the form of recommendations passed on to the cultivators (Farmer) and Extension agency. Research scheme on white grub (14.8.1975 to 14.8.1980). Research scheme on Rhizome fly with financial outlay of Rs.114170/-(9.11.1977 to 8.10.1980). Studies on key pests of turmeric and ginger other than Rhizome fly with financial outlay of Rs.147840/- (1.2.1985 to 31.7.1988). Ecology, biology and control of snails and slugs with financial outlay of Rs. 136000/- (1.2.85 to 31.1.90) All India Co-ordinated Research Project (AICRP) on white grub (14.8.80 to 31.3.2000). 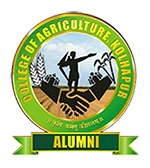 Research project on Survey and study of sugarcane woolly aphids in Western Maharashtra with financial outlay of Rs.541000/- (9.10.2004 to 8.10.2006). Research project on Biointensive Integrated Pest Management of Sugarcane White Grub with financial outlay of Rs. 1164940/- (11.10.2004 to 10.01.2008). Receipts earned – Testing of insecticides against different crop pests. Phyllognathus Dionysius-New species of white grub recorded first time in western Maharashtra causing damage to sugarcane. RKVY Project for mass multiplication of Biopesticides.